I am a doctor, “rejuvenating” corporate executive, entrepreneur, author, and speaker. My wife (Jill), our four-year-old daughter (Joie), our 16 month old second daughter (Jae), and our golden retriever (Sunny) live in Tampa Florida and Newport Beach California (we alternate locations every month – so we travel a lot). Have you set goals for your life? Do you really want to accomplish all your goals? Gratitude research suggests that feelings of thankfulness have a positive effect on a person’s ability to cope with stress. Grateful people tend to be more optimistic, a characteristic that researchers say boosts the immune system. People who record things they are grateful for experience an increase in joy, happiness, and overall life satisfaction. The last edition of this newsletter in February kicked off a year-long program designed to provide a step-by-step “formula” for increasing your happiness significantly. Most of the time in this newsletter, I recommend you go back and read some of the previous editions, but this time it’s essential – since the February 2011 edition introduces the foundation for this year-long process. And so, without having read the February edition, you really won’t know fully what’s going on. Now, having said that, I know some of you won’t bother (or just feel you don’t have the time) to go back and read that February edition (I hope that’s not you), so for those others who don’t do it, I have kept that in mind while writing this edition so that you can still get something out of this. But please, to get the most benefit out of this process, and be living your happiest possible life by this time next year, go back and read the February edition if you haven’t read it already. It will make a big difference. You can read it by clicking here. Again, if you haven’t read the February edition, you will have no clue as to what that means, so click here to go back and read it. For those who have now read it, have you calculated your own personal “Happiness Score”? 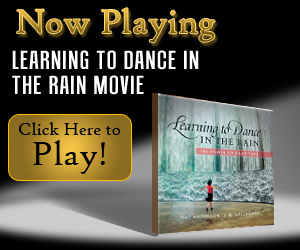 Do you know what areas of your life need improvement for you to be as happy as you can be? Have you identified the reasons for any unhappinesss in your life? If not, you owe it to yourself to do this before going on with this next part of the process. If so, congratulations, you have taken the first step and are ready to move ahead to become much happier in your life. That’s the question we asked in Part 1 of this year-long series. Now, assuming the answer is “no” (you’re not as happy as you could be – whether just a little or a lot) it’s time to take the next step. 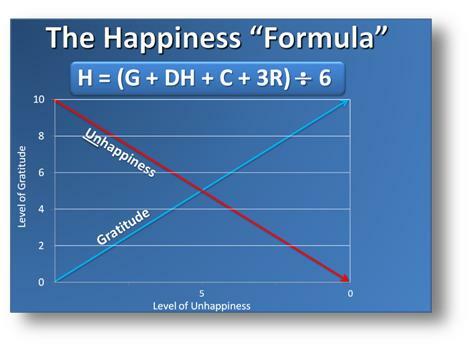 Going back to the formula, which is ... H = (G + DH + C + 3R) ÷ 6 ... “H” stands for Happiness, and “G” - the first component of the equation - stands for Gratitude. This is what we are going to address in this step of the process. So here, we are going to expand your ability to be grateful in your life. This is an important initial step in the process because total happiness can only be achieved if you eliminate unhappiness from your life and increase happiness. Gratitude, one of the most important “emotions” needed for happiness actually has its most powerful effect by eliminating unhappiness. As the graph to the right shows, there is an inverse relationship between gratitude and unhappiness. In other words, the more grateful you feel about the good things in your life, the less you will sense “unhappiness” in your emotions. In the graph, as you start at the lower left hand corner, where gratitude is zero (“0”), unhappiness would likely be at a maximum (a level “10”). As gratitude increases to a “5”, for example, unhappiness is reduced down to a level “5”. And, as you go up the gratitude scale toward a “10”, your unhappiness level decreases proportionally to a “4”, “3”, “2”, “1” and then “0” when you are “totally grateful” (at a gratitude level “10”). Think about it. If you’ve got some significant problems in your life (which make you unhappy), by being more and more grateful for the good things in your life, you will feel less unhappy, partly because gratitude "forces" us to focus on what's good about our lives rather than what's not good. For example, let’s say you are having some serious financial issues which are stressing you out, causing you to worry and feel a sense of “unhappiness”. To reduce that unhappy feeling, try thinking about how grateful you are for your good health or your wonderful children. If you really think about how great those things are – and how fortunate you are for those things in your life – you can’t help but feel less “unhappy”. Maybe you are going through a divorce, which is sad and very painful. How would it make you feel if you focused on how grateful you are for your fulfilling career or your great relationship with your parents? Now, don't get me wrong. This is not an attempt to make you ignore or "deny" your problems. You still have to deal with that divorce or financial challenge, but you can deal with these types of things much better - and with less pain - if you just have an attitude of gratitude about life. Life can certainly be painful at times, but there are always things in your life for which you can be grateful, regardless of how many problems you face or difficult situations you are experiencing. There is always a source of gratitude. One of the challenges, however, is that when you are dealing with lots of stress, frustration, pain, or sadness, and you are not in the “habit” of being grateful (in other words, if you are not naturally or normally a “grateful person” and don’t generally have an “attitude of gratitude”) then, even if you think of those positive things in your life, once you stop thinking about them on a conscious level, the positive (grateful) feelings go away. So the message here - and the overall objective - is to have a constant (habitual) feeling of gratitude, which we will learn to do in just a minute in the "Actions" section below. Just as important, if you are not dealing with significant stress, pain, or sadness right now, you can almost be assured that someday you will. That’s life. So if you don’t normally have an “attitude of gratitude”, then now is the perfect time to get into the habit so that when tough times do come up, you will feel much less pain, sadness, and unhappiness. That’s what the “Action Plan for the next 60 days” is going to do. 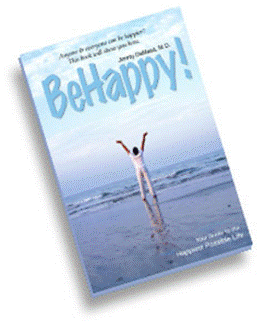 If you follow the action plan below, by the time you receive the next edition of this BeHappy! Newsletter during the first week of July, you will be a much more “grateful person”. You will wake up every morning feeling a greater sense of appreciation for the great things in your life and you will focus less on the negative things (even though they may still be prominent in your life). So please read on and continue with the "Actions" described below to help you take this next step in our “year-long” happiness process that, if you really do it, will change your life forever. Take these actions over the next sixty days and by the time you receive the next edition of the BeHappy! Newsletter (during the first week of July), you will be much more grateful for the things you have in your life, and therefore, you will feel less unhappiness, regardless of the circumstance. This will allow you to get maximum benefit from the subsequent steps in the formula, which are focused more on increasing happiness. The first action to take is to look at your “Gratitude Score” from the February edition of the newsletter. What was your score? Did you get it? If not, you really need to go back to that February edition and get your score as described there. It’s an important first step. So, sorry to be so repetitive, but click here to go back to the February issue and do the “Action Plan” there to catch up if you haven’t done it yet. 5 “true” answers, you are likely in the “9” to “10” range in your “Gratitude Score”. We will use this score as a benchmark for assessing your progress over the next year as we complete the “happiness formula”. For now, though, the action item for the next 60 days basically involves increasing your Gratitude Score and simultaneously making gratitude “a habit”. This can be accomplished by doing the “Three Great Things Exercise” every night for the next 60 days. Just click on that link in the previous sentence (or just click here) to get the instructions on how to do this. Don’t skip this. It is essential, especially if your “gratitude score” is less than a “6” (but is advisable for anyone who doesn’t have a Gratitude Score of “10”). If you do this exercise every night for the next 60 days, I can literally guarantee that you will have a greater sense of gratitude in your life (your Gratitude Score will increase by at least 2 points – but probably much more), and you will feel less “unhappiness”. This will set you up to then start to increase happiness significantly over the next few months so that you can begin to live your happiest possible life. And if you want to take this – and the whole happiness process - a step further, you can sign up for one-on-one personal E-Coaching by clicking here and I’ll help you personally with all this. 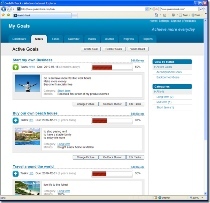 I provide a free introductory session as part of my BeHappy101.com package. We’ll look back on this 60-day action plan in the next edition of The BeHappy! Newsletter during the first week of July - where we'll then take the next step toward making profound improvements in your happiness – and your life.